Any individual suffering from any type of physical or mental disability can come across several kinds of challenges and hurdles in their daily life. Students spend most of their time at schools or colleges where they are promised a nurturing and healthy learning environment. Therefore, in order to diminish any sort of discrimination and difficulties faced by the students who are not eligible for special education but are going through some sort of disability, the federal government has come up with the solution in the form of Section 504 of the Rehabilitation Act of 1973. At Dr. Angela Reiter & Associates in Eastchester, NY we routinely conduct psychological evaluations to assist your child in obtaining a 504 Plan for Anxiety. We also participate in 504 Plan meetings both in person and via telephone. Anxiety is regarded as a disorder which falls in the category of serious mental illness if the individual is suffering from distress, worry, and fear constantly. Anxiety disorder is one of the most common disorders prevailing worldwide. Students suffering from anxiety would need extra care, attention and unique ways through which they can succeed academically in a normal classroom. These 504 accommodations for anxiety are a crucial part of the 504 plan which aids students going through anxiety disorder eventually enhancing their overall learning experience. These are the few of the prominent features of the 504 plan for anxiety which are specifically designed by keenly looking at the needs of children suffering from anxiety disorder. A 504 plan proves to be useful for the anxious students as it grants them the sense of safety when they realize that their needs are being understood and respected. The 504 plan improves their self-esteem and proves to be very beneficial in the long run. Once a 504 Plan for anxiety is requested by the parent, the school gathers all necessary educational information and sets a 504 Plan meeting to discuss whether your child meets the requirements. The evaluation can assist you in providing evidence of your child’s anxiety. Once a 504 Plan is granted, there is a yearly meeting after that time to assess whether your child continues to require 504 Plan services. 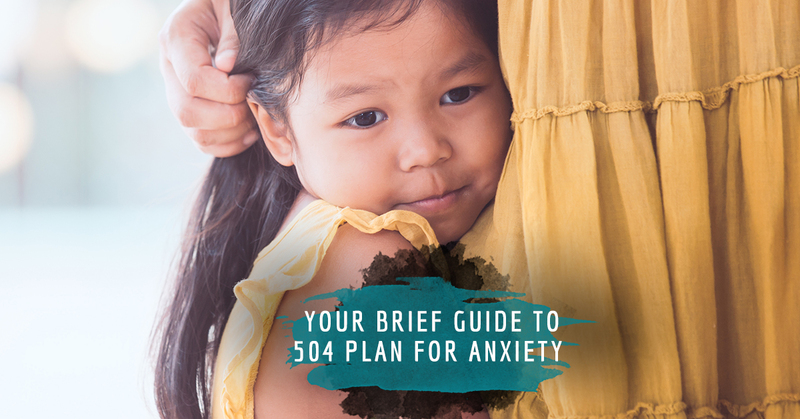 Let Dr. Angela Reiter & Associates in Eastchester, NY assist your child in obtaining their 504 Plan for Anxiety!